Shane Cotton’s recent paintings are dark, almost Gothic arrangements of cultural iconography floating on moody and uncertain fields. They draw on the post-colonial histories of the artist’s native New Zealand, but still carry a familiar charge for Australian audiences. In these works history is an ominous and uncertain place; ever open to revision, it haunts the present like the disembodied tattooed heads and ghostly texts Cotton repeatedly employs. 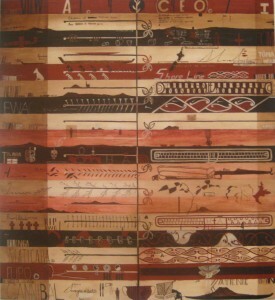 There is currently a painting by Cotton from 1997 on display in the new Art of the Pacific Gallery at NGV International. It’s quite different from recent work, but the core intent seems the same. 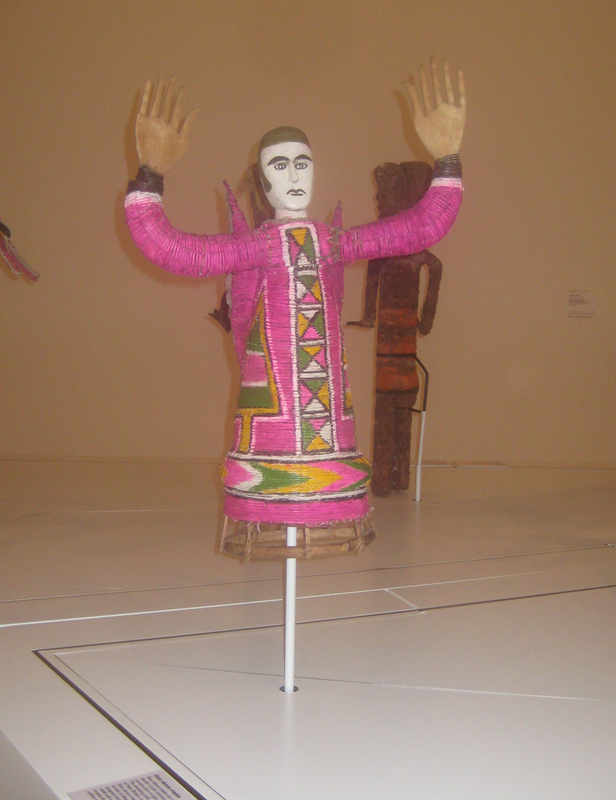 Alongside work from regions as diverse as the Oro Province of Papua New Guinea and north Ambrym Island in Vanuatu, it suggests various possible histories. 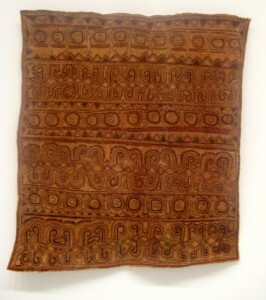 Resonances extend from this painting throughout the exhibition: its horizontal divisions recall the contemporary Ömie bark cloths on the opposite side of the gallery, while its palette of rust browns and ochres is shared by any number of other works. 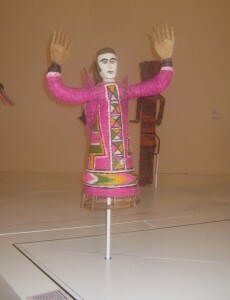 Even the animated and brightly coloured Sisu dance masks echo in the graphic rendering and loosely decorative text that winds through Cotton’s painting. 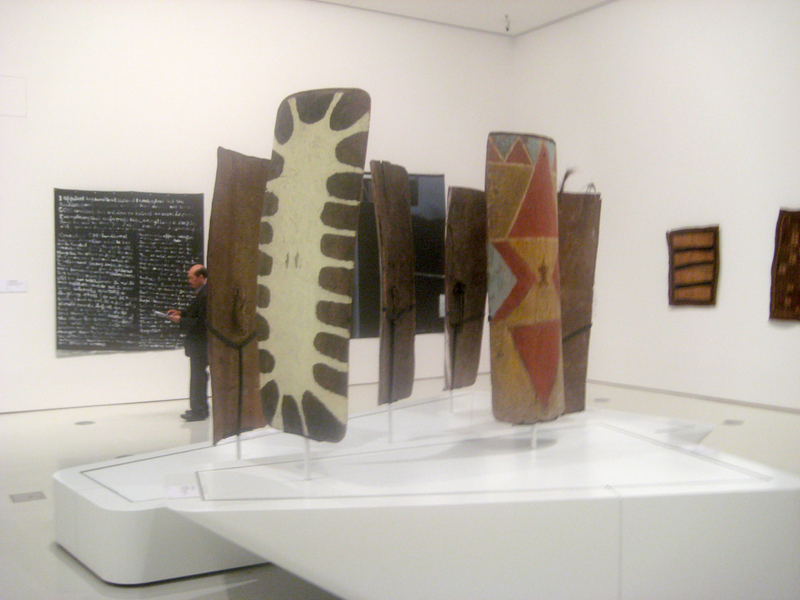 Like the two works by Colin McCahon in an adjacent corner of the gallery, Cotton’s painting also links to Euro-American traditions of art making. 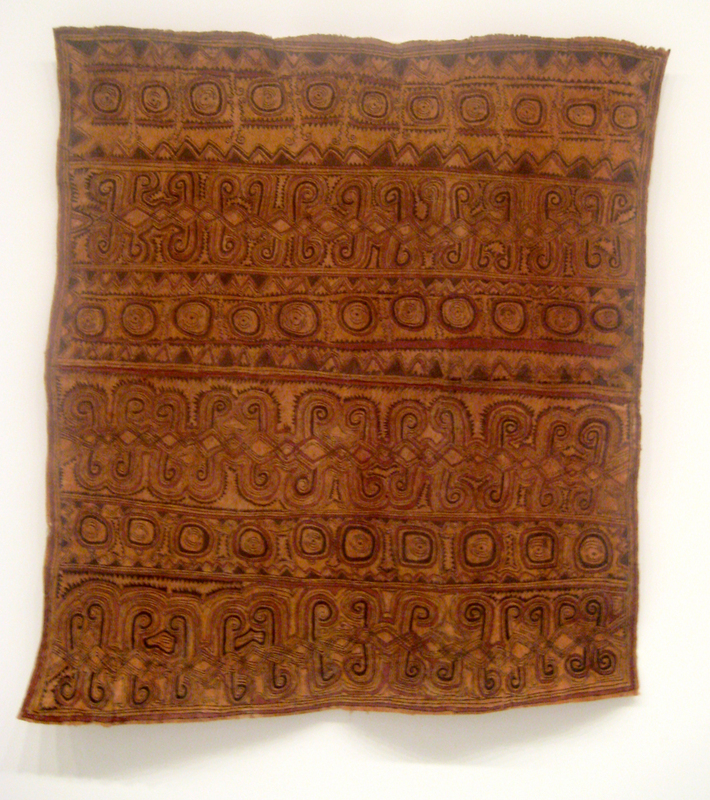 In this sense it represents a kind of hinge point between histories, suggesting a cross-regional perspective that traverses multiple traditions and forms. Here the trajectory of art history is shown to be always relative, always open to revision. 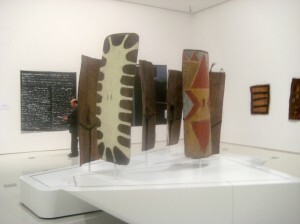 Inaugural display, Art of the Pacific Gallery, NGV International, Melbourne, 28 May 2011 – 31 December 2012.